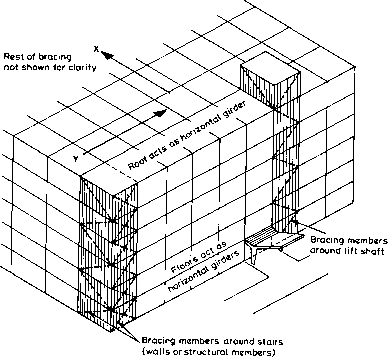 Choose the location and form of bracing in accordance with the recommendations in clauses 2.2.3 and 3.4(a). Typical locations are shown on Figs. 1 and 2 for different shaped buildings. 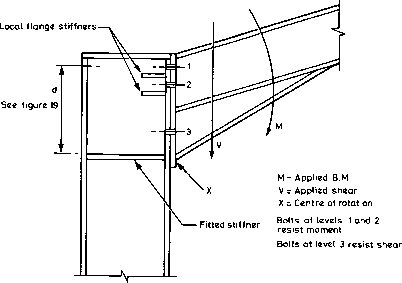 The wind load or the notional horizontal forces on the structure, whichever are greater, should be assessed and divided into the number of bracing bays resisting the horizontal forces in each direction. 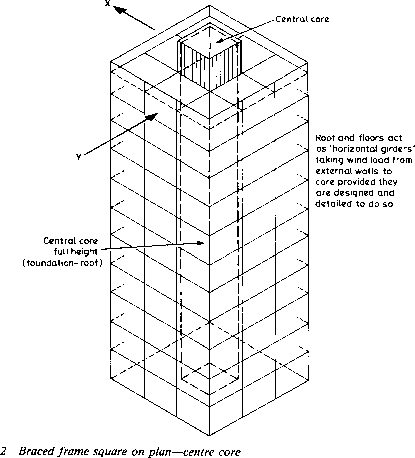 Note that roof and floors will act as horizontal girders provided that they are designed and detailed to do so.